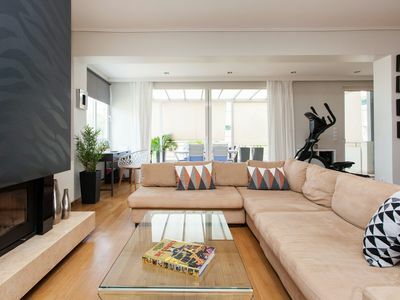 Located in a quiet, architecturally beautiful and traditional community of Artemonas. It is accessible by pedestrian footpath or scooter only as there are no roads for cars in the old villages. 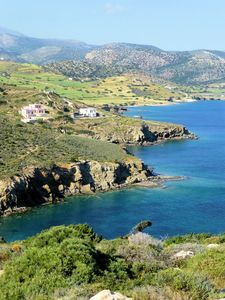 The restaurants, shops and bus terminal in Artemonas are 300 m. away, while it is only 1km from the center of Apollonia and 6km from the nearest sandy beach. 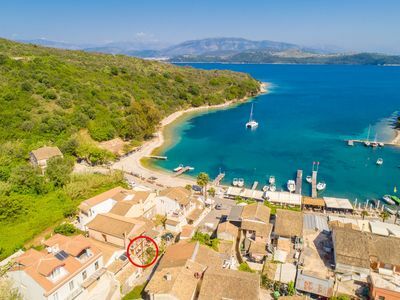 This is a beautiful traditional house, built in two levels and suitable for up to 6 persons, as in addition to the Main house (two-storey building), it also has a separate Guest house of 40m2. 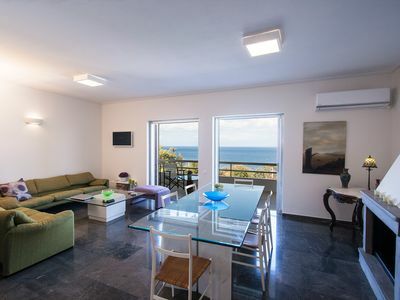 The house décor is an elegant blend of modern and antique furniture, which is comfortably designed to welcome its guests and ensure a relaxing vacation. 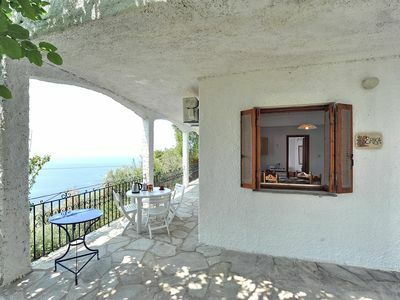 The Main house is a two-storey building: on the ground floor there is a large living room with fireplace and dining area where all the house guests can gather, one bathroom, and a fully equipped kitchen. An interior staircase leads to the upper floor with two separate bedrooms (one with a double bed and second with two single beds). 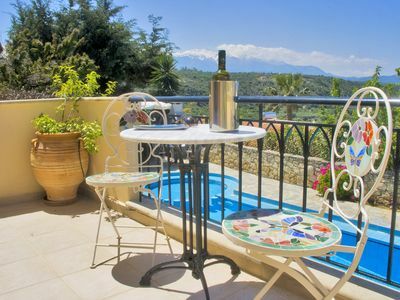 The rooms have private verandas with panoramic views to the surrounding villages. 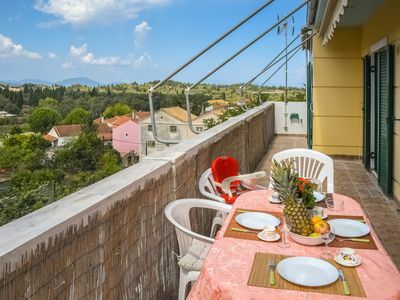 Outside the house entrance there is a large common veranda equipped with comfortable dining table and chairs, offering beautiful views towards the Petali village and the countryside. 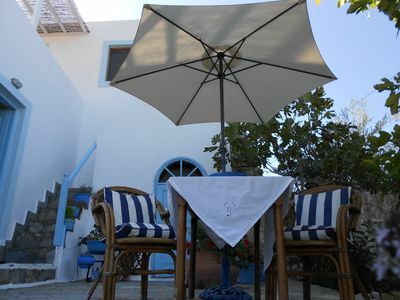 The veranda connects the main house with the Guest house, a 230 year old building that retains all the traditional architectural features of the period it was built, which has a separate entrance to a one-bedroom area with two single beds, dining corner and a bathroom. 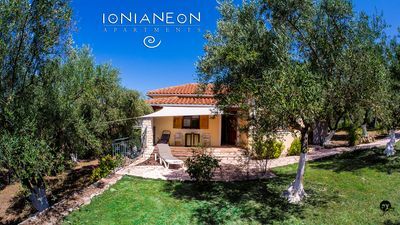 The house is not air conditioned but there are ceiling fans available, however due to its thick stone walls it preserves coolness throughout the summer. The house has one TV in the living room, kitchen with refrigerator, oven, kettle, coffee machine, dishwasher and hairdryer. Wi-Fi internet access is also available. 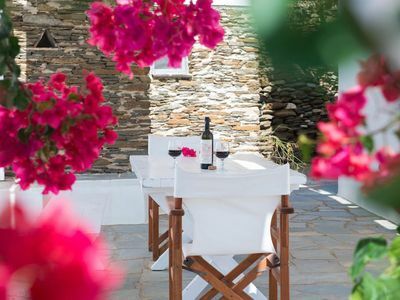 The house is very quiet because it is situated in a large private estate and is surrounded by gardens and verandas with nice views of the valley towards the Petali village, the surrounding countryside, the settlements of Sifnos and the sea. Guests are greeted upon arrival and departure. 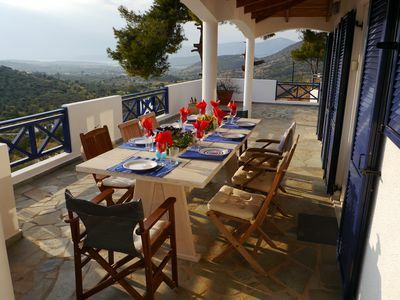 Located on a hill above Rethymno city with panoramic sea views & full privacy! 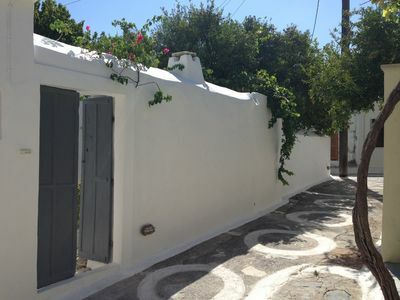 Sunset House in Anavissos at Mavro Lithari • 150 m from the beach with sea view.